The scalloped surface of this nocturnal Hawaiian endemic is reminiscent of the fluted cliffs and valleys of the Hawaiian Islands. Its color is dirty yellow to orange-yellow. 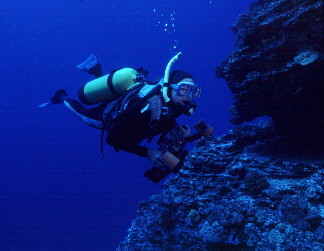 Authors Bertsch and Johnson encountered most of their specimens at night at depths between 6 and 20 ft. 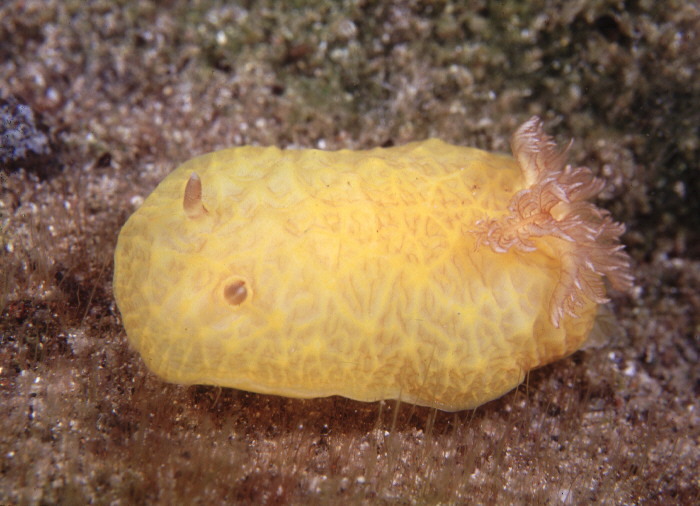 However, I have never seen one in the wild despite extensive night diving. Perhaps it was more common in the 80s than it is now. (The photographed specimen was brought to me by an aquarium collector found found it in a few feet of water off Waikiki.) The species name comes from the Hawaiian word pali, meaning "cliff." The animal attains about 2 1/2 in. and is known only from Hawaii.